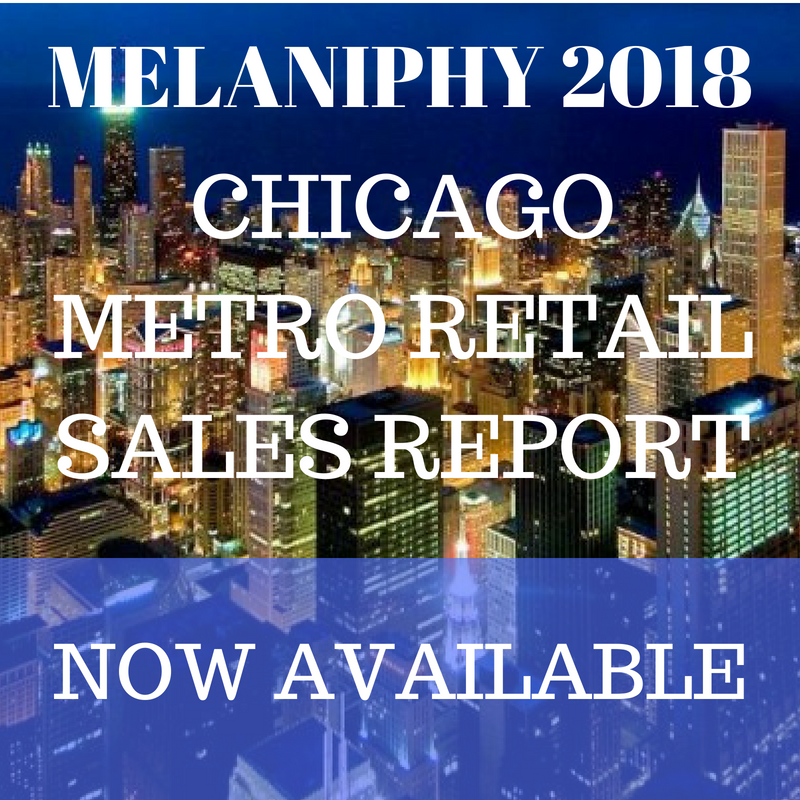 MELANIPHY 2018 RETAIL SALES REPORT - CHICAGO METROPOLITAN AREA & CITY OF CHICAGO - RETAIL SALES FOR 2017 | MELANIPHY & ASSOCIATES, INC. The May 2018 Melaniphy Chicago Metropolitan Area Retail Sales Report is NOW AVAILABE. Click on the buy now button below to purchase the report. The May 2018 Melaniphy Retail Sales Report WILL BE EMAILED TO YOU WITHIN 24 HOURS. THE MELANIPHY 2018 CHICAGO METROPOLITAN AREA RETAIL SALES REPORT EXAMINES CHANGES BY MAJOR RETAIL CATEGORY AND RANKS THE TOP 20 MARKETS IN EACH RETAIL CATEGORY. THE CORE MALL MARKETS IN THE CHICAGO METROPOLITAN AREA ARE DEFINED AND THE TOP 20 MARKETS ARE IDENTIFIED. TO PURCHASE THE REPORT FOR $50 PLEASE CLICK ON THE BUY NOW ICON BELOW. *The Retail Sales data is based upon actual Illinois Department of Revenue Sales Tax Receipts for Kind of Businesses from January to December 2017.